What if humans would share their political power with non-humans? What if animals, plants, things and technologies would be able to represent their own interests? Welcome to the Anthropocene: for the first time in the history of the planet, one species — mankind — has become a driving force in the development of the earth’s climate and atmosphere. In this new age, humankind faces the challenge of climate change, a hyper-problem so vast and profound that we can hardly grasp its dimensions. That is why we need to upgrade our thinking. We desperately need new ways to discuss the relationship between culture and nature. We need a place of dialogue between animals, plants, things and people, a place of conflicting interests and evolving ideas for the future. 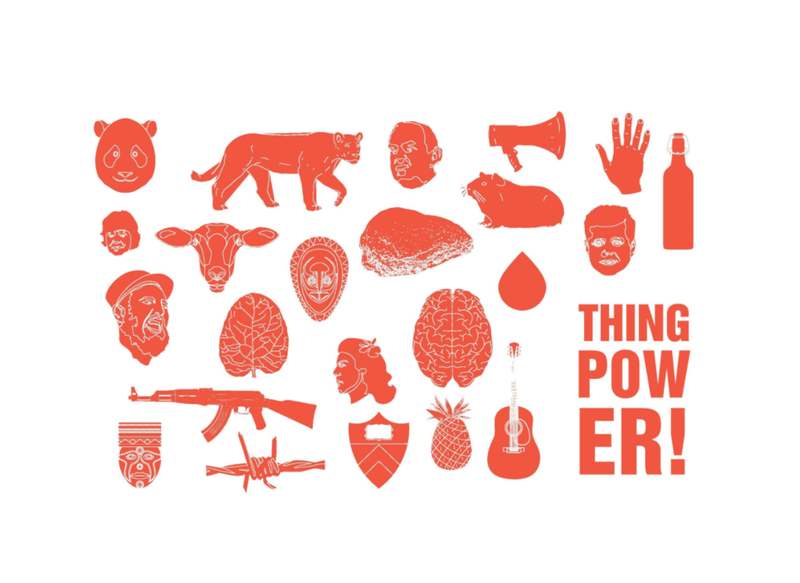 The Parliament of Things is such a place. The topic of climate change often inspires a slightly banal conversation about recycling, veganism and consumption of fair-trade products. It’s a conversation all of us have had one too many times. Granted, these are noble acts of environmental 'charity', but are they enough to 'save' us from the ecological crisis? There is a strong argument to be made for changing consumer behaviour. After all, excessive consumption and casino capitalism have brought us where we are today. Cutting the head off the beast, so to speak, might just do the trick. But there are those who are skeptical that the solution lies within the capitalist system itself. 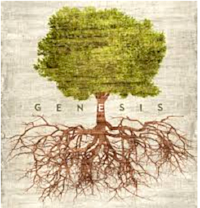 Not because recycling, eating less meat or taking the bicycle to work don’t contribute positively to a solution to global warming, but rather because they might not eradicate the roots of the problem, roots that go back to the origins of Western thought. Today, we like to think that we know better. Scientists know how old the Earth is: they have measured the age of rocks, animals and plants. Compared to the Earth, humankind is but a speck of dust on the historical spectrum, a newborn baby that has been overfed and spoiled and enjoys throwing its expensive toys around during tantrums, threatening to break the fragile crib that was built with patience over billions of years. We know this, and yet our collective psychology is trapped in the clutches of the same anthropocentric delusion as the one described in Genesis. It is a sort of psychosis that places us at the center of the universe, making us master of an imaginary Earth — and, by extension, the entire universe. It is a boundless territory, this Earth, with unlimited resources that are just begging to be exploited and converted into ‘utility’ and ‘value’. Humankind has signed up for a lifetime subscription to a TV show in which the homo economicus is the hero, and nature a passive bystander, the second-rate actor who has one line in the script. In the debate on climate change today, the apocalypse narrative distracts us from the root of the problem. We’re all accomplices in this 'end of the world narrative': scientists claim society as we know it will 'collapse'; books emerge every single day with titles such as The Revenge of Gaia; Final Hour; The Coming Plague; The Year of the Flood; and Countdown to Apocalypse, not to mention the apocalyptic end-of-the-world movies churned out by Hollywood each year. The cherry on top of the cake is Pope Francis’ recent proclamation that “if we destroy creation, creation will destroy us”, a bittersweet irony considering the Biblical roots of the mentality that has led to the current ecological crisis. Speaking about the climate crisis in this way is not only exhausting — it is also misguided. The reality of climate change does not lend itself to blockbusters. As Naomi Klein writes in This Changes Everything, climate change isn’t an apocalypse but rather a subtle process of degradation, visible in the early blossoming of a particular flower, the thinning layer of ice on a lake, or the late arrival of a bird of passage. The doomsday narrative distracts us and pacifies us. We become powerless agents, waiting with perverse pleasure for the inevitable reckoning. Most of all, the doomsday narrative discourages us from assuming moral responsibility and taking political action. It is 2017 and the leader of the world’s no. 1 economy is a climate change skeptic. If the world is divided between ‘believers’ and ‘deniers’, the latter seem to be gaining the upper hand. In this fight, is there a way out of the iron cage? If we want to develop a political institution for ecology, a sort of U.N. for the Earth, what would it look like, and who would be its representatives? It is precisely this question that is tackled by the Parliament of Things, an exercise in empathy for nonhuman actors. Is it possible to imagine the plight of a fish, empathize with the will of a river, and lend our human voices to the needs of the forest, the corn field, the cobblestone and the mountain-range — without always putting our own self-interest first? It sounds floaty, ‘new-agey’, perhaps even infantile. But as we approach a point of no return on the road towards full-fledged ecological crisis (some say we’ve already crossed the crucial 400ppm carbon dioxide threshold value), it’s worth a try. Artists, philosophers, architects, writers, lawyers and countless others are trying to achieve the impossible: overcome — for however brief a moment — their subjectivity, and experience what it feels like to be a non-human entity. Some transform themselves into non-humans; others develop technologies to communicate with them. Some anthropomorphize, others dehumanize. The importance of developing empathy towards plants and animals is not a new idea. Neither is the fight for greater inclusion of non-human entities in the legal realm. In a 1972 paper titled “Should Trees Have Standing?” Christopher D. Stone proposes that if corporations are assigned rights, so should natural objects such as trees. He argues that the adoption of plant rights should be the next logical step after man’s moral and legal advancement in such areas as children’s rights, gender equality, freedom of speech and religion, and so forth. Mathew Hall takes a similar approach; while not appealing directly to the legal aspect, he argues that plants should be an intrinsic part of the realm of human moral consideration. His treatise, “Plants as Persons: A Philosophical Botany”, synthesizes the moral background of plants in western philosophy and contrasts this with other traditions — including various indigenous cultures, which do not distinguish as strongly between plants and persons — in which plants are regarded as intelligent beings deserving care and respect. Interestingly enough, Hall’s main justification for the need to treat plants with ethical consideration is founded in the principles of plant neurobiology, a subset of neuroscience that considers plants autonomous, perceptive organisms capable of adaptive, complex behaviour, and possibly even self-awareness. The atrocities of the Second World War led to an expansion of solidarity and empathy. National law was toppled by international law, a law based on the universal principles of humanity. The current climate crisis and death of biodiversity might lead to a similar expansion, from universal human rights to planetary rights for life, based on the universal laws of life. Bolivia is at the forefront of a rare form of climate action. Under the non-conformist leadership of the iconic left-leaning president Evo Morales, the nation has established 11 new rights for nature. They include: the right to life and to exist, the right to continue vital cycles and processes free from human alteration, the right to pure water and clean air, the right to balance, the right not to be polluted, and the right to not have cellular structure modified or genetically altered. But is it fair to completely dismiss these efforts towards preserving and protecting nature? Even if these legal changes prove to be powerless in curbing exploitation and all that is left of them is their poetic appeal, are they not valuable in themselves? After all, these legal actions are indicative of a trend that involves entire societies rethinking their relationship to nature. 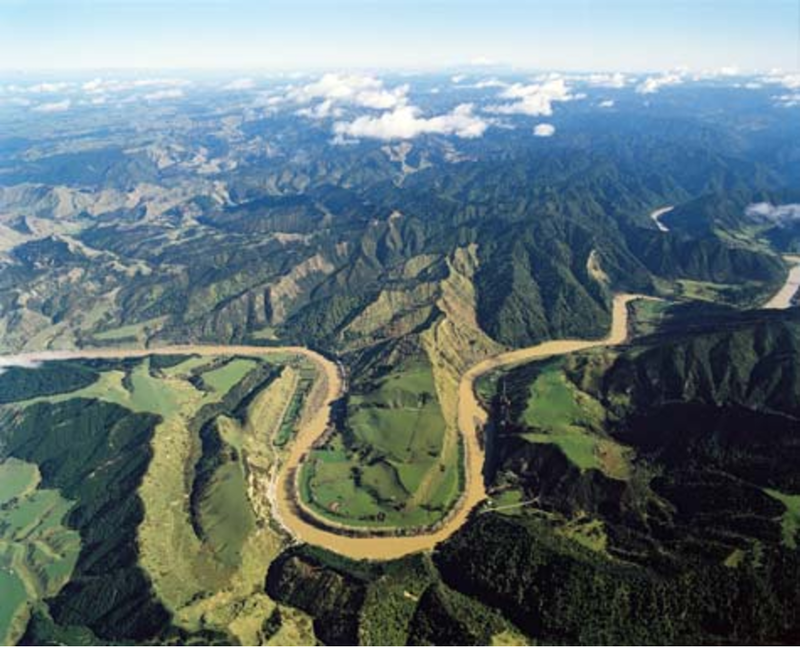 The Whanganui river in New Zealand has been granted legal personhood status in 2012. This river has two guardians, one representing the state, the other a representative of the Maori people. Another example: a white oak tree in Georgia, USA, widely known as the Tree That Owns Itself due to the fact that it enjoys legal ownership over itself and all land within 2,4 m of its base. Or take Sandra, a 29 year-old orangutan, who was declared by one Argentinian court to be a ‘non-human person’ who had been ‘unjustly held in captivity’, a verdict which could potentially prove to be a milestone in the debate on the rights of primates and other intelligent animal species. The above mentioned examples are by no means exhaustive: the arenas presented are but a fraction of the voices that a truly representative Parliament of Things would have to accommodate. Nevertheless, they provide a snapshot of the reality of what this imaginary exercise — and, unless technology advances significantly in the foreseeable future, it will remain a somewhat abstract exercise — requires from us human participants/representatives. From a theoretical point of view, it makes a lot of sense to challenge anthropocentric interpretations of the nature-culture divide, drawing inspiration from cultural anthropology and non-Western worldviews. From the practical perspective, the formalization of a “UN for nature” seems far-removed. The Parliament of Things is thus most useful when envisioned as a mental construct, rather than an actual building. Attempts to engage in real-life politics will inevitably end in anthropomorphic biases, but the approximation that occurs when humans argue from the perspective of Animals and Things creates empathy and understanding. It is all we can hope for, but it goes a long way. Kyrill Hartog is an AWE founder and editor. In 2016 he was involved in the Parliament of Things project, which originates from Bruno Latour's book 'We Have Never Been Modern' and was carried on by Amsterdam-based think tank Partizan Publik.